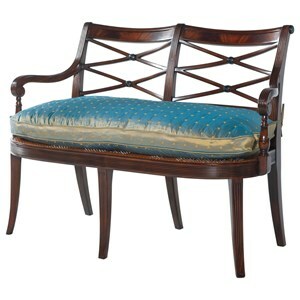 Based on an original Regency style piece, this beautiful bench settee features a hand carved and caned double seat back. 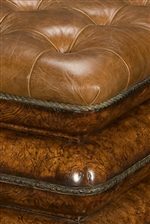 A popular item in sitting room areas, benches of this quality are highly praised for their elegant appearance and comfortable seating. 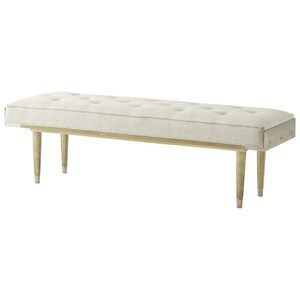 This bench features a plush silk cushion seat with a romantic tie accent and welt cord trim. 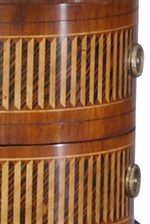 Smooth Sabre legs feature a fluted design that flows from this items base up through its curving scroll arms. This high end furniture piece may feature some customizable components. 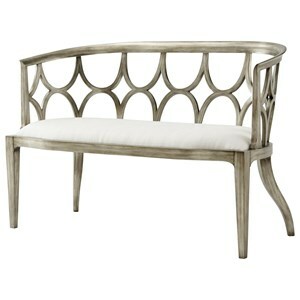 The Essential TA Hanover Square Bench by Theodore Alexander at Stuckey Furniture in the Mt. Pleasant and Stuckey, South Carolina area. Product availability may vary. Contact us for the most current availability on this product. 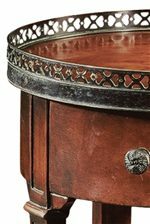 The Essential TA collection is a great option if you are looking for furniture in the Mt. Pleasant and Stuckey, South Carolina area. 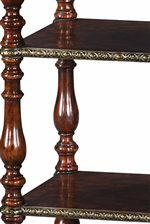 Browse other items in the Essential TA collection from Stuckey Furniture in the Mt. Pleasant and Stuckey, South Carolina area.